Hermione Granger. . HD Wallpaper and background images in the Hermione Granger club tagged: hermione granger. 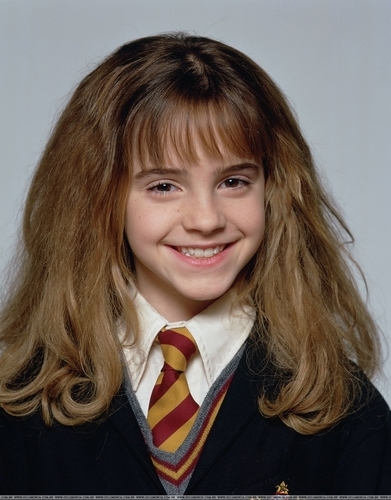 This Hermione Granger photo might contain business suit, portrait, headshot, and closeup. IS SHE WEARING A WIG??? She was so cute and natural back then.